In the movie Kung Fu Panda and its two sequels, Po, the protagonist, is a panda. 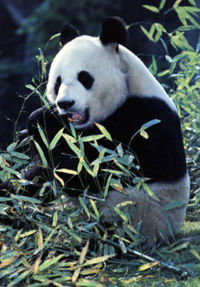 The fourth expansion of World of Warcraft, Mists of Pandaria, the new race called the Pandaren are modeled after Pandas. This page was last modified on 24 April 2019, at 19:44.